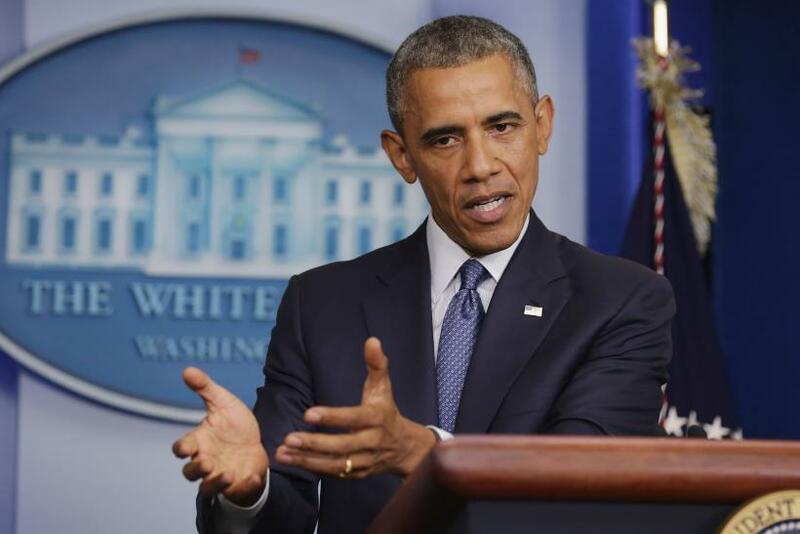 President Obama criticized House Republicans for holding up a bill reauthorizing and expanding the Export-Import Bank. That's the same bank that, back in 2008, Obama slammed as "little more than a fund for corporate welfare." Obama is correct that the Export-Import Bank has in the past been a Republican priority. The Republican-controlled Congress passed a bill reauthorizing the bank in 2002, and President Bush signed that bill into law. That year, House Republicans also engineered the defeat of legislation from U.S. Rep. Bernard Sanders (I-Vt.) to limit the Export-Import Bank's subsidies to companies that are simultaneously laying off U.S. workers while expanding their foreign workforces. However, Obama's current defense of the bank, and the near-unanimous support of congressional Democrats, stand in stark contrast to Democrats' views just a few years ago. A majority of House Democrats in 2002 voted for Sanders' legislation. And in a 2008 speech in Wisconsin -- a state that is currently considering a bipartisan proposal to cut off taxpayer subsidies to corporate outsourcers -- Obama excoriated the bank. "I am not a Democrat who believes that we can or should defend every government program just because it's there," he said in Green Bay. "There are some that don't work like we had hoped...and there are some that have been duplicated by other programs that we just need to cut back -- like waste at the Economic Development Agency and the Export-Import Bank that has become little more than a fund for corporate welfare." Yet less than four years later, Obama signed a bill reauthorizing the Export-Import Bank and said the bank helps "thousands of businesses sell more of their products and services overseas." With the bank again up for review, Obama is now leading the charge, and, according to the Huffington Post, nearly every House Democrat has signed on in support of reauthorization. In the time Democrats and Republicans have reversed their positions, lawmakers did not fundamentally alter the Export-Import Bank's policies. The switch can be explained, at least in part, by changing political incentives. Democrats spot an opening to exploit differences between Tea Party Republicans and more business-oriented Republicans, while making a pro-jobs argument to voters. They also see a potential fundraising opportunity with traditionally GOP-aligned business groups. Last month, for example, Roll Call reported on U.S. Sen. Charles Schumer (D-N.Y.) citing the party's new support of the Export-Import Bank as a reason the U.S. Chamber of Commerce should start supporting Democrats. Republicans, on the other hand, see a way to reinforce a "crony capitalism" argument against President Obama and his party. In an op-ed this week for USA Today, Sen. Ted Cruz (R-TX) outlined that new GOP case against the Export-Import Bank. He cited examples of a federal court and a group of Democratic senators raising concerns about the bank using U.S. taxpayer money to subsidize foreign firms that compete with American companies. Arguing that the bank helps only a handful of large businesses, Cruz also cited a 2011 study by the libertarian Cato Institute finding that "the top 10 beneficiaries of Ex-Im Bank loans and long term guarantees in FY 2010 -- with combined revenues of over $382 billion -- received over 92 percent of those bank services."